Hortgro Pome and Hortgro Stone approved the establishment of twelve representative, decentralised cultivar evaluation sites in the various growing regions under the management of Provar, an independent fruit evaluation company, based in Zandwyk Park, Paarl. The respective industry associations will fund the initial development of the sites as well as subsidise the annual operational expenses of the sites in form of a tree based management fee. The plantings will commence after the winter of 2019. Owners or local license holders of new fruit cultivars will be encouraged to test their cultivars in these evaluation plots where the trees will be taken care of to ensure that Provar has the best quality test material for evaluation. Promising cultivars should be available to be planted by all producers, whilst the further development and commercialisation of such products remain in the hands of the owner and/or license holder. Provar also offers clients access to Culteva™, an inhouse developed cloud-based application for planning and recording own evaluations, registering and managing cultivars and sites, printing barcodes and viewing comparative evaluation reports. The Culteva™ Mobile App allows for effortless data collection in the field and fruit laboratory. In addition, Provar offers an opportunity for independent evaluation of best cultivars and / or selections through Provar’s Advanced Screening methodology on the clients’ sites with a detailed end of season report, empowering clients to make decisions with regard to the specific product under evaluation. 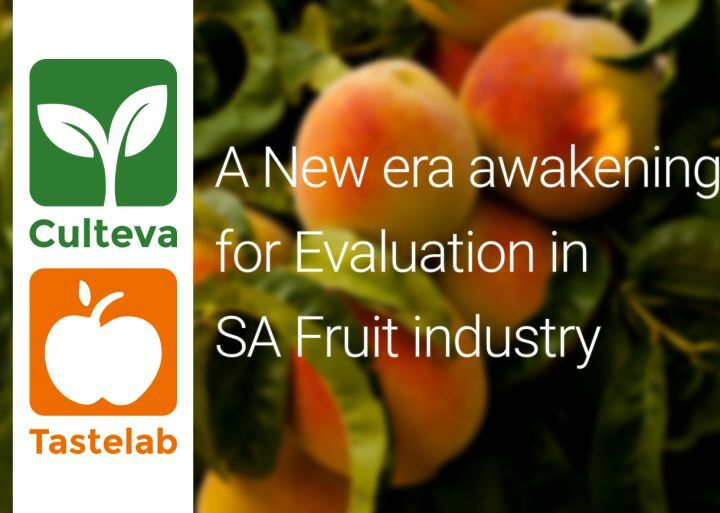 During the 2017/18 season, Provar performed screening evaluations on 91 stone fruit and 77 pome fruit cultivars and selections. The organized industry under the auspices of Hortgro-Pome and Hortgro-Stone, fully supports this independent process of evaluation with the associated reduction of planting risks to producers. Consideration is still to be given to further industry funding for superior cultivars or selections identified through Advanced Screening, for Provar’s Full Trial evaluation to test adaptability and commercial potential. This will provide cultivar owners the opportunity to present new products to the entire industry on a well organised industry platform. Provar’s tasting invitations go out to any interested person registered on Tastelab, who will gain free access to attend tastings and / or present latest selections and cultivars during bi-weekly in season tastings hosted by Provar. Our Tastelab™ mobile app is used to collect and report tasting results based on seven visual and sensory characteristics. Provar TastelabTM hosted more than 100 pome and stone fruit taste samples and acquired more than 2 000 individual taste scores during the past season. Get the latest cultivar news sent to your inbox every 1-2 months. © Provarco (PTY) LTD 2016. All rights reserved.